With Christmas arriving in just a few weeks, why not get a last minute gift for that certain someone – child, friend, collector – who has everything? Here are a few examples of gift ideas that most mortals could never afford. How about the Diamond Barbie, co-designed by De Beers? It comes with a gown sporting 160 diamonds, as well as white gold miniature jewelry to give the world’s most expensive Barbie doll the world’s most expensive look. The one-of-a-kind 40th anniversary Barbie, created in 1999, comes with a full figured price tag of £50,000.00 or about $85,000.00 USD. 1959 Barbie No. 1, in mint condition, runs about $8,000.00 USD. My daughter would love one! Do you take a check? 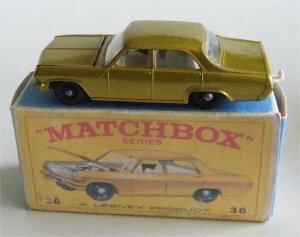 Maybe you would like one of the original Matchbox Cars? Well, in that case, it’s a boxy sea-green sedan, the 1966 Opel Diplomat. A rare few are being offered for sale, but at $9,000, they’re beyond most people’s budgets. If only you’d bought one years ago, when they first hit the market. The price back then: 48 cents. 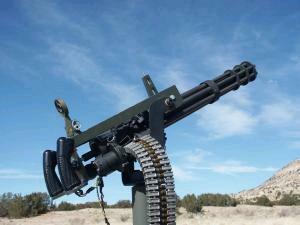 Would you like the American 6mm Mini-gun for AirSoft? Sorry. However, if you were lucky enough to get one while in production, congratulations. Nothing came close to the power of these things in a Gatling-type air-gun. Like a school of piranhas, the steel 6mm BB’s could chew little bits of inch-thick reinforced glass until there was nothing left. And with the 3000 round magazine, this mini-gun blows the Japanese guns right off the playing field. Used, in good condition, with accessories, these M134 guns have sold “Used” for over $9000. Perhaps one of your children is into darning? Well, this particularly unusual toy sewing machine, adorned with a clown was auctioned at the ISMACS auction in London, England. The bidding went quickly to 6,000 pounds and then was down to two strong bidders, neither wanting to give up on the chance of having this toy sewing machine. The last two bidders were an English industrial sewing machine dealer and a German millionaire. Finally, when the Englishman bid a whopping $13,600, the German quietly did not bid. The holes can stay in my clothes, thanks. 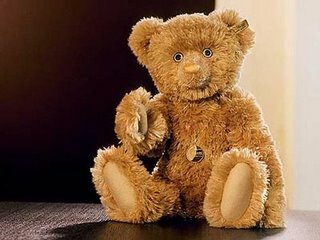 Your children love stuffed bears much like so many around the world, so why not ‘splurge’ and get them one of these: To celebrate the 125th anniversary of the Teddy Bear, a German company created a limited edition of 125 bears, of which the mouth is made of solid gold and the eyes of sapphires and diamonds. The cost: £43,000.00, making it the world’s most expensive available Teddy Bear. The highest price ever paid for a single one of these Teddy Bears was $193,000.00 USD. So you have a few boys who just love to wage war with their military action figures. Here we have the most expensive toy soldier in the world. It was the creation of Don Levine, and was the 1963 G.I. Joe prototype. Levine sold the prototype to Baltimore businessman Stephen A. Geppi, on August 7, 2003, during an auction performed by Heritage Comics Auctions of Dallas, Texas. The prototype was purchased for $200,000 USD. 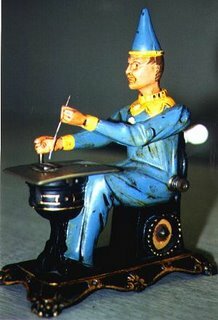 When Levine created his toy soldier, he created it on his ping-pong table. 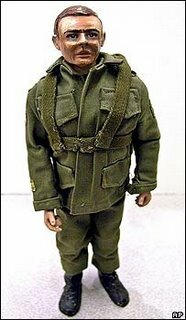 The soldier measured 11 ½ inches tall and had 21 movable parts. Not only did this G.I. Joe have movable parts, but he also wore a hand stitched Sergeants uniform. Now is that a toy to die for? If you have a kid between the ages of 7 and 15 and want to give them a gift that will make them the instant envy of the neighborhood, then you must check out The Off-Roader. However, if you do not have a limitless bank account, you may have to get a loan just to purchase it. The cost of this Junior Off Roader is $40,000 USD or £17,000. 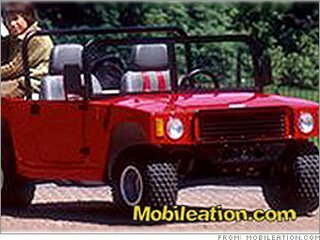 This beauty comes complete with: all weather fiberglass body with a protective frame, dual hydraulic disk brakes, rack and pinion steering, manual emergency brake, full front and rear suspension, front and rear suspension, three speed transmission, radio and CD player with speakers on the side doors. Oh, and it is also very comfortable, with adjustable, upholstered leather seats. They can ride in style at a blistering 30 mph. *Please excuse the Copy Written image, it’s all I could find! How many times have you gotten one of the thousands of PEZ Dispenser varieties in your stocking on Christmas? Well, if you love them, as many collectors do, then the 1982 World’s Fair Astronaut B PEZ Dispenser is for you. It was on the auction block on eBay and is one of the only two known to have been created. One has a white helmet and green stem. It is believed to have been a prototype to The World’s Fair board. 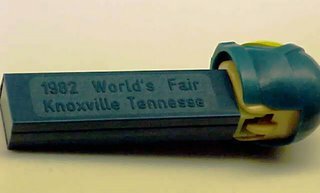 The PEZ dispenser was never put into production, and was received from former PEZ employees as stated by the auction. The winning bid for the world’s most expensive PEZ Dispenser: $32,205.00 USD. Now that the most popular video game system, the Nintendo Wii, is next to impossible to locate, why not find one for you child in the hand-held variety. 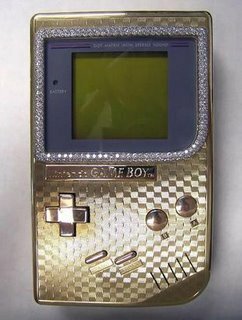 The world’s most expensive Gameboy is made of 18 K gold and the display screen is surrounded by diamonds. Available through Swiss Supply, and created by Aspreys Of London, this little toy will set you back a playful $25,000.00 USD. They will, however, toss in a case, the cables and a few games for you. Thank goodness, that makes it all worth while. Forget figures this holiday, your little Star Wars fan wants collectible movie memorabilia! 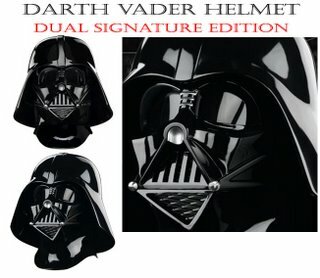 So, in that case, get him this: The Darth Vader fighting helmet from The Empire Strikes Back. It’s a mere $115,000, and was used extensively throughout the climactic fight sequences in the film. It was specially created to allow Bob Anderson, the Olympic fencing champion who took over the role of Darth Vader for the fight sequences, clearer vision. Great, now your child can see so much better while battling the Jedi.